Al Gore speaks at the World Bank/IMF 2017 Spring Meetings, Unlocking Financing for Climate Action. Photo by Simone D. McCourtie/World Bank/flickr. Want to do something about climate change but don’t know where to start? What better way to learn than through an event organized by one of the world’s most famous environmental activists: former Vice President Al Gore. 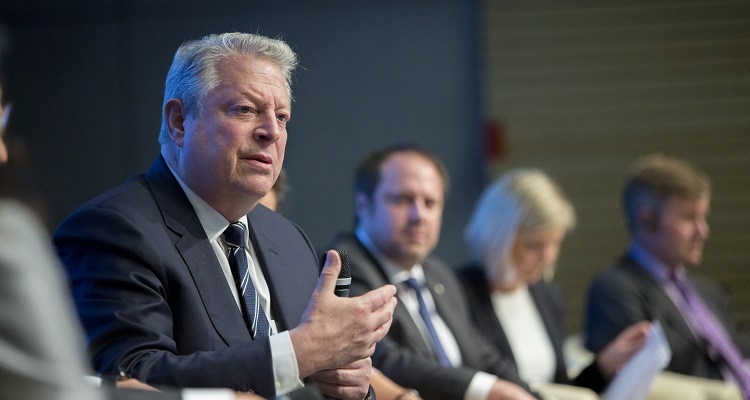 The Climate Reality Project, an organization founded by Gore, announced plans to hold its 36th Climate Reality Leadership Corps activist training in Pittsburgh. Taking place from October 17-19, the event—which is sponsored by The Heinz Endowments—will gather world-class scientists and experts, as well as Gore himself, to educate citizens on becoming Climate Reality Leaders. According to a press release, prospective Climate Reality Leaders will gain the knowledge and tools necessary to build public awareness of global climate challenges, promote practical solutions, and strengthen public support for those already taking action on the issue. To become a leader, you must complete the training and then attend a minimum of 10 Climate Reality Project activities—including presentations, media outreach, advocacy, and holding or attending events—within a year. 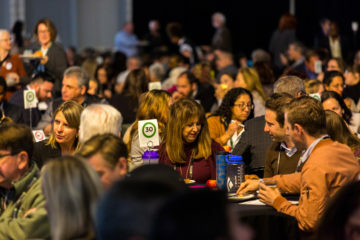 So far, the Climate Reality Project has trained more than 12,000 Climate Reality Leaders from 136 countries, as well as in U.S. cities such as Seattle, Denver and Houston. This marks the first training after the release of An Inconvenient Sequel: Truth to Power, the follow-up to the Oscar-winning documentary An Inconvenient Truth. Gore appeared in both films. The announcement comes not long after Pittsburgh was thrust into the spotlight by President Trump, who specifically named the city in a speech about pulling the U.S. out of the Paris Agreement, a landmark, multi-national initiative to combat climate change. Mayor Bill Peduto quickly responded by declaring that the City would continue to adhere to the Paris Agreement and would become completely powered by renewable energy by 2035. Those interested in the Climate Reality Leadership Corps activist training must apply before September 12, 2017. You can also download a free action kit. 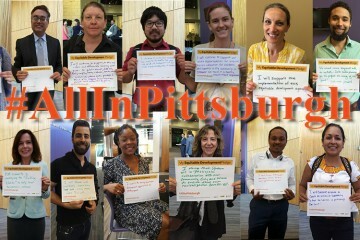 NEXTpittsburgh reached out to The Heinz Endowments for a comment and will update the post as soon as it’s received.